Space planning your office can be a headache and not to mention incredibly expensive. Some design firms charge hundreds per hour. At Cubicles.net we believe that every business should have an out-standing office. We urge you to take advantage of our free design services. You have a business, a mission, a goal. You want to successfully illustrate your business ambitions to your workforce and clientele. That’s where we come in. Our interior designers work with you, discover your goals to create a working environment around your team and the atmosphere that defines your company. DO you have a simple office layout or just need help selecting those few colors that are questionable? We can help you make an educated decision on your office colors. Just like we send you fabric swatches and laminate colors you can send us your paint and carpet options. We will all collaborate on the options available and see what fits your overall scheme best. In the end, you will have an office that’s a step above the rest. Creating the right layout is crucial. It defines the flow of your space, ease of use and how open your space feels. 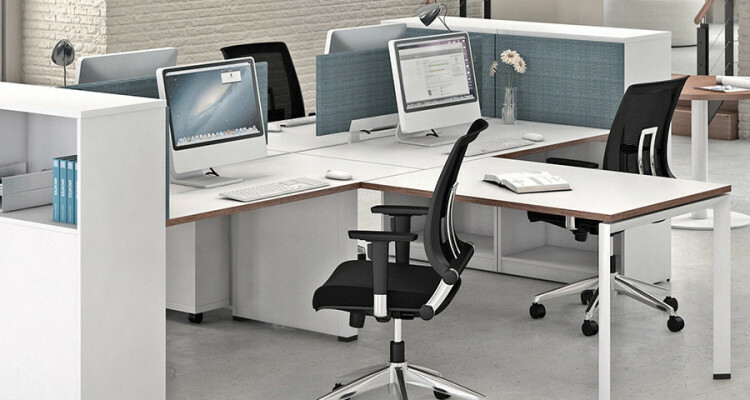 Our space planners work with you to create the perfect cubicle and office furniture space plan. We understand that in most businesses there are different compartments of business. You have your marketers that want something cool, your admins that usually need something functional, managers that want something big and sales who either have touch down cubicles or call center cubicles. We work with you to define each space appropriately and make sure everything operates seamlessly. We also offer additional design services such as designing the actual wall space of your office. We can help you design your break room, reception area, hall ways, art work, lighting etc. Let us know if you would like us to help design your overall office, we would be glad to get you a quote. No Comments on "Free Space Planning and Color Selection"